She’s made from minky and has poly pellets in her rotund belly – great for squishing!!! xD. Her body measures around 3″ long and 2″ tall so she fits nicely in the palm of the hand. If there’s enough interest for these, I will start opening commission rounds for them 🙂 There will be exclusive spots reserved for patrons only ;). I haven’t really decided on the pricing yet… but standard ponies like Fluttershy or Pinkie would be around $50USD? 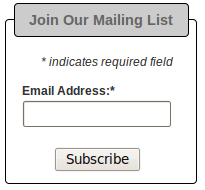 Do you think that’s fair? I’m trying to keep it as low as possible but they are still handmade and take quite a bit of time & care to make. Any feedback would be appreciated!!! 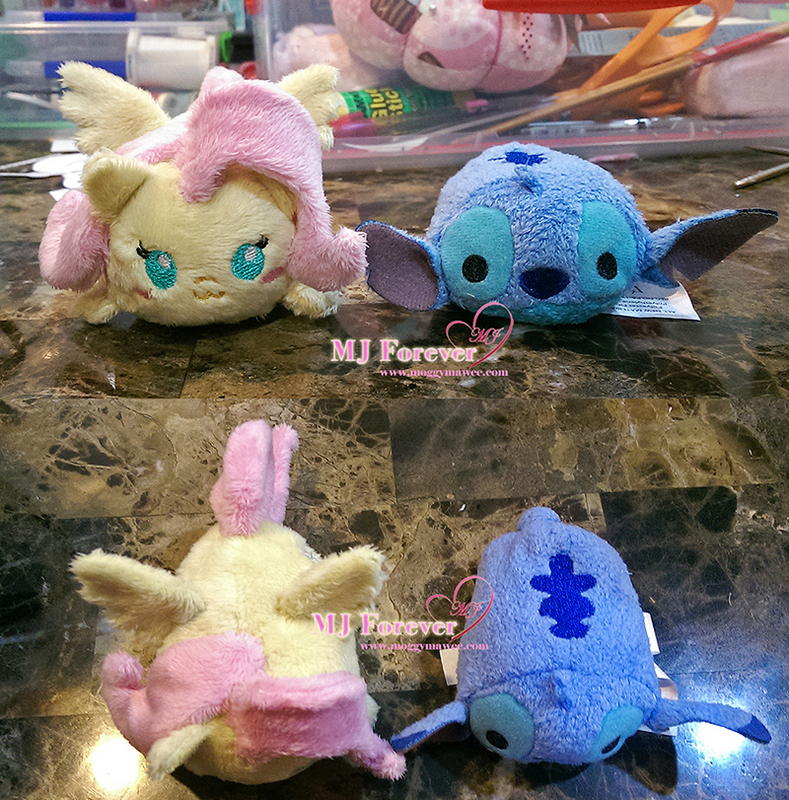 There will be a tsum pony giveaway on my Patreon http://www.patreon.com/moggymawee once I hit 20 patrons ^^. 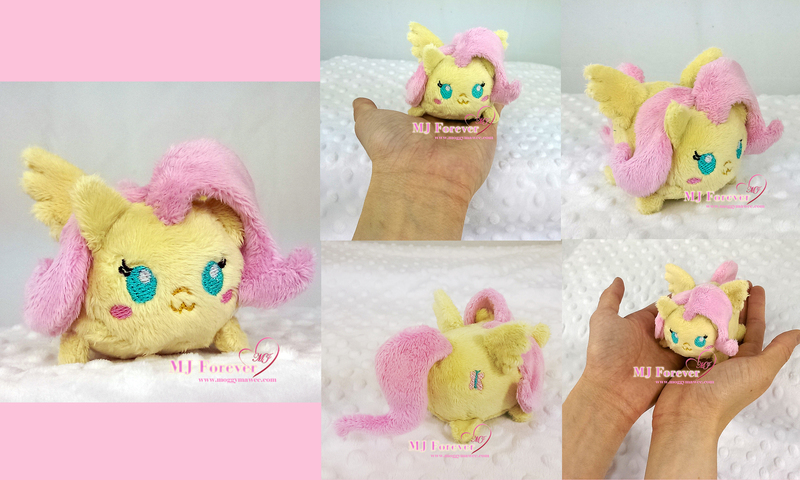 It will be one of the mane 6 and I will pay for shipping (including international). Hi! is this Tsum Fluttershy still for sale?